One of the best-loved and well-known of all English operas, Henry Purcell’s Dido and Aeneas tells the tragic tale of Queen Dido’s love and subsequent abandonment by the Trojan hero, Aeneas. Full of expressive arias, memorable choruses, and humorous moments, it is an acknowledged masterpiece. The finale, “Dido’s Lament”, is one of the most recognizable and moving scenes in the history of opera. This performance will be paired with Come Ye Sons of Art, a musical ode written by Purcell in 1694 to celebrate the birthday of Queen Mary II of England. Early Music Vancouver thanks Bruce Wright and Carol Tsuyuki for the use of their harpsichords, Natalie Mackie for the use of her cello, and Wilmer Fawcett for the use of his double bass. This concert is generously sponsored by Bruce Wright. As He too late began. Had sent Him back before. And left no Hell below. Henry Purcell, the “English Orpheus” was born in London in 1659 into a family of musicians. Both his father and uncle were members of the Chapel Royal and sang for the coronation ceremonies of Charles II. Precocious young Henry, too, sang in the choir until his voice broke, at which point he was appointed assistant keeper of the King’s keyboards and wind instruments. Over a very short time, his superior abilities as an organist, violinist and composer earned him the profound respect of peers and teachers alike. This led him to secure one of the most illustrious musical posts in England – organist of Westminster Abbey. Purcell’s teacher, Dr. John Blow went so far as to give up this position, when it became clear that the student had surpassed his master. When Purcell died at the tragically young age of 36, Blow took up his Abbey post again and wrote one of the greatest works of his career in honor of the fallen star – “The Ode on the Death of Henry Purcell”. In addition to his positions at the Abbey and Chapel Royal, Purcell became the primary royal composer to three kings: Charles II, James II and William III. In this capacity, he composed music, both instrumental and choral, for all special events, such as coronations, feast days and funerals. His contributions to these events include some of the best English music ever written. No other composer set English words to text more evocatively and eloquently. Come ye sons of Art is a Birthday Ode written in 1694 for Queen Mary II and is set to a lively text, probably by Nahum Tate. With vivid and humorous word-painting, Purcell makes the most of the text’s many references to music and musical instruments, encouraging all artists seize the nearest instrument and celebrate the occasion of Mary’s birth. The overture, which was later reused in The Indian Queen, sets the tone for a series of choruses, arias and duets that are among Purcell’s most memorable and joyous. The centre-piece of the work, “Strike the viol” for solo tenor, as well as the duet, “Sound the trumpet” for two altos, can be found in countless anthologies. Though “Sound the trumpet” is usually performed by two counter-tenors vying against one another for the best “messa di voce” and trumpet impression, we have decided to give a mezzo–soprano the chance to compete for a change. While busy with composing music for the court and the church, Purcell also developed an early interest in writing music for the theatre. Sung opera in the Italian style was not yet popular in England, so, like his contemporaries, Purcell’s music was confined primarily to short incidental pieces that were inserted into long, spoken plays. Works like Diocletian, King Arthur and the Faerie Queen are generally referred to as “semi-operas” and relied heavily on the long-standing English tradition of courtly masques, mixing music with spoken dialogue, dance, and the use of elaborate stage sets and machinery. The exception to this is Purcell’s only fully sung opera, Dido and Aeneas, which was composed sometime before 1688 and given its first documented performance at Josiah Priest’s boarding school for young ladies in Chelsea. It was modeled closely on John Blow’s Venus and Adonis, and incorporates elements of the Stuart court masque, Lully’s tragedie en musique and contemporary Italian opera.Structurally, Dido and Aeneas consists of a French style prologue (whose music is lost) and three short acts that give dance a central role in the drama, as was typical in the masque (i.e. the triumphing dance, the Grove scene, the sailor’s dance). Purcell’s synthesis of these styles with new trends in contemporary Venetian opera – namely the focusing of musical interest in da capo arias, the use of ground basses and the inclusion of a lament was truly innovative. Dido and Aeneas is economical in its requirements and calls only for a small orchestra of strings, a four-voice chorus, and mostly treble solo voices that would have been sung by Mr. Priest’s students at the Chelsea performance. New evidence suggest that the opera may have actually been written first for a mixed cast of court musicians to celebrate the coronation of William and Mary. This seems more plausible, since, though Josiah Priest’s school catered to the daughters of the rich and powerful, England’s greatest poet and composer would likely have required more than an end-of-term school concert to inspire a work of this scope and quality. Though a copy of the libretto for the Chelsea production survives, the only surviving musical score for Dido and Aeneas dates from 1777 and is at least three stages removed from Purcell’s original. It does not include the music for the prologue – likely because its thinly veiled political message was no longer relevant. It also includes tenor and bass parts in the choruses that would have been impossible for young girls to sing. Though doubts remain about the original disposition of voice parts, the musical writing and setting of text are extremely characteristic of Purcell and basically unquestioned. The good news is that possibilities for imaginative casting remain very flexible and music directors often feel entirely justified in making arrangements of the surviving musical material. The libretto, by Nahum Tate, tells the story of Dido, the Queen of Carthage, and her ill-fated love encounter with the Trojan Prince Aeneas, destined to leave her to found the city of Rome. In Act I, they are together, although their relationship is already troubled. In Act II, a sorceress separates them through the conjuring of a storm and her messenger, Mercury, then corners Aeneas and insists that he leave Dido to fulfill his destiny. Act III finds an inconsolable Dido alternately mourning and venting her anger on a contrite Aeneas. She then forces him to leave, facing her own inevitable death with the ageless lament “When I am laid in earth”, followed by the final chorus of “With drooping wings” – one of the most moving scenes in English music of any age. Style and musical elegance combined with an intuitive theatrical sense are the hallmarks of soprano Monica Whicher’s performances on the concert and opera stage. Extravagantly praised for repertoire ranging from the title role in Thais to the most intimate masterpieces of German Lieder, the Ontario native continues to captivate listeners from Lameque to Vancouver. 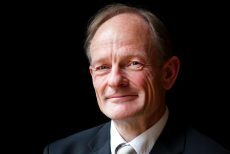 Recent destinations include the Festival International de Musique Baroque de Lamèque, Edmonton’s Richard Eaton Singers, Vancouver’s Music in the Morning series, Orchestra London, ON and Toronto’s Amadeus Choir. He latest recording with harpist Judy Loman was released to great acclaim and she is also prominently featured in the Fall 2014 release of the continuing Ukrainian Artsong Project. Her 2014-2015 season also includes Brahms’ Requiem with Symphony Nova Scotia, Messiah with Vancouver Chamber Choir, Weihnachtsoratorium for Toronto Bach Consort and Wolf’s Italianisches Liederbuch for the University of Toronto`s Faculty of Music Artist Series. In the previous seasons, she was heard with the Thunder Bay Symphony, Symphony Nova Scotia and Ottawa’s Thirteen Strings in repertoire ranging from opera to Villa Lobos to Faure and Bach. Ms. Whicher debuted with Houston’s Mercury Baroque as Asprano in Vivaldi’s Montezuma, the work’s premiere in North America. In addition to her residency at the Colours of Music Festival, her many recitals include the works Lysenko at Toronto’s Koerner Hall, return engagements with the Talisker Players, the Ottawa Chamber Music Festival, the Leith Festival and the Indian River Festival. Winner of the George London Award, Ms. Whicher has been nominated for a Juno Award for “Singing Somers Theatre (Centrediscs) as well as two Dora Mavor Moore awards (Le Nozze di Figaro, Dido and Aeneas) and is featured on the Juno-award winning CD’s “Beethoven Lives Upstairs”, “Mozarts’ Magic Fantasy” and “Daydreams and Lullabies”. Her recordings of Bach, Schubert and Hatzis are available on Marquis Classics and other labels and her critically acclaimed portrayal of Mérope can be seen in the EuroArts DVD of Lully’s Persée. Ms. Whicher is on the faculty of both the Glenn Gould School and the University of Toronto. Canadian soprano Pascale Beaudin began her career at the Opéra de Montréal, in the roles of Zerlina (Don Giovanni) and Oscar (Un ballo in maschera). She has also sung Papagena (Die Zauberflöte) with Opera Lyra Ottawa. Making her début as Nannetta (Falstaff) at the Opéra de Québec, she returned as Gabrielle (La Vie parisienne) to critical acclaim. In Europe, she sang Adèle (Le comte Ory) at the Angers-Nantes Opéra, where she was immediately invited back as Flaminia (Il mondo della luna). She has also performed with the Opéra Municipal de Marseille, the Opéra de Metz, and the Opéra National de Lorraine. In October 2013, she sang Fleurdelise (Cosi fan tutte in French) with Opera Lafayette in Washington; this production was revived in New York and Versailles in January 2014. At ease with repertoire which ranges from Baroque to Contemporary, Pascale Beaudin has been a soloist with l’Orchestre Métropolitain, l’Orchestre Symphonique de Québec, les Violons du Roy, and l’Orchestre de la Francophonie. Pascale has been invited to take part in prestigious events, such as the Lanaudière Festival, the Orford Festival, the International Domaine Forget Festival, le Festival de Musiques Sacrées de Marseille, and the Montreal Bach Festival. True to her Acadian roots, Pascale regularly performs in Eastern Canada at events including the Lamèque International Baroque Music Festival and the Indian River Chamber Music Festival. Pascale Beaudin has received grants from the Jacqueline Desmarais Foundation, the Canada Arts Council, the Conseil des arts et lettres du Québec and the Jeunesses Musicales du Canada. She was granted the Excellence Prize by her colleagues and mentors at the Atelier Lyrique de l’Opéra de Montréal. Her discography includes a 5-disc release of the complete works for voice and piano by Francis Poulenc for the Atma label released in October 2013. 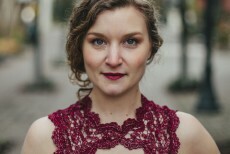 Recent performances include her Montreal Symphony Orchestra debut under Kent Nagano; the role of Adele (Die Fledermaus) with Edmonton Opera; appearances at the Vancouver Early Music Festival and the Ottawa International Music Festival with Les Voix Baroques; a soprano and trumpet programme for Clavecin en Concert and La Fête de la Musique de Mont-Tremblant; and Handel’s Messiah both for the National Arts Centre Orchestra and in a staged version for Against the Grain Theatre. Sought after for her “exceptional talent” in performing modern works, Jacqueline created the role of Milice-Bride in the première of Ana Sokolovic’s opera Svaba-Wedding with Queen of Puddings Music Theatre, as well as the American première with Philadelphia Opera and subsequent Canadian and European tours. Other well-received performances of contemporary music include works by György Kurtág, Kaija Saariaho and Judith Weir. Possessing a strong affinity for concert works, Jacqueline has sung Bach’s Saint John Passion, Orff’s Carmina Burana, Fauré and Mozart’s Requiem, Mahler’s Eighth Symphony, Mercure’s Cantate pour une joie, Haydn’s The Creation, Pärt’s Stabat Mater, and Vaughan Williams’ Dona Nobis Pacem. Jacqueline holds a master’s in opera from McGill University, and upcoming performances include Messiah with Aradia Ensemble and Papagena with Edmonton Opera.